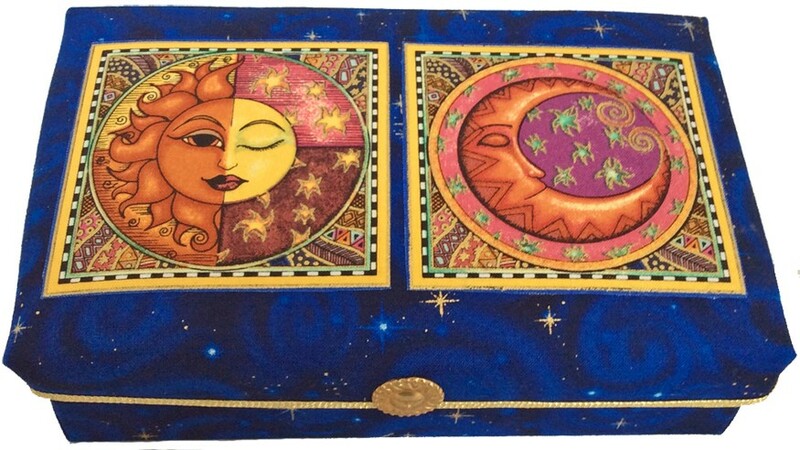 A beautifully stylized 'Woman in the Sun' and 'Man in the Moon' gaze down from a starlit evening sky to make this a perfect gift box for your tarot cards, note cards or jewelry. Features rich tones of gold, copper, burnt orange and yellow. A gold braid surrounds lip of lid finished off with golden sun filigree. 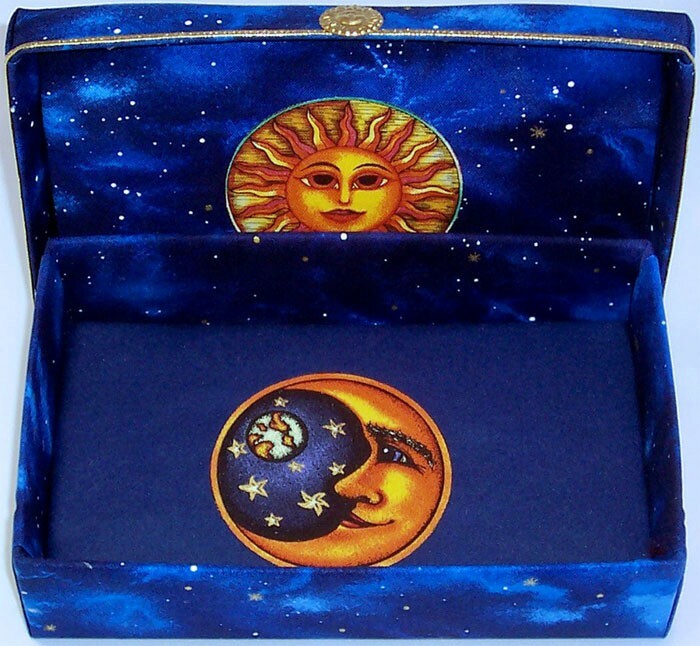 Inside this gift box, you will find decals of the sun and moon on navy blue background. Comes in on size only - 7" x 4.5" x 2". This is an enchanting gift box for anyone who loves all things celestial. Not only is it a practical place to store small items and keepsakes, it provides a striking decorative touch to any room!